It has been a busy weekend for ECH athletes with the Greater Manchester County Schools Championships taking place at Stretford and the Northern Senior, U20 & Parallel Championships taking place at Sportcity. We also had athletes taking pat in the Derbyshire Schools County Championships in Derby. Firstly at Stretford we had two ECH athletes taking home Gold medals. 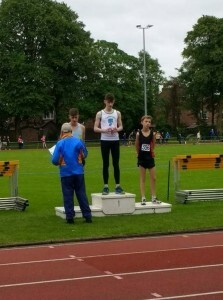 Keenan Owen had a fantastic run to win the under 17 men’s 3000m in a time of 9.10 winning the race by 10 seconds. Ty Brockley-Langford ran brilliantly to win the under 15 girls 800m race in a time of 2.20.7. 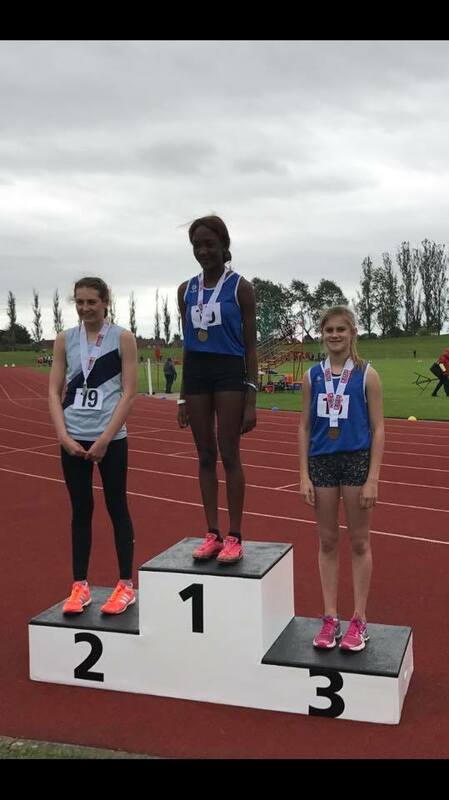 Abby O’Neil also won a medal in the 800m but in the under 17 women’s race taking the Silver medal in a time of 2.18.4, which was a new PB. John Trotman won two Silver medals, one in the under 17 men’s 400m with 51.6 and also in the Triple Jump with 10.79m. Lokona Musenga also won a Silver in the 400m in the under 17 men’s race with 53.4. Anaya McDonald won a Bronze medal in the under 17 women’s 100m with 13.0. Jayde Robinson won a good Silver medal in the under 17 women’s Triple Jump with 9.03m. Declan Feakes also won a Silver medal with a throw of 48.50m in the under 17 men’s Javelin. 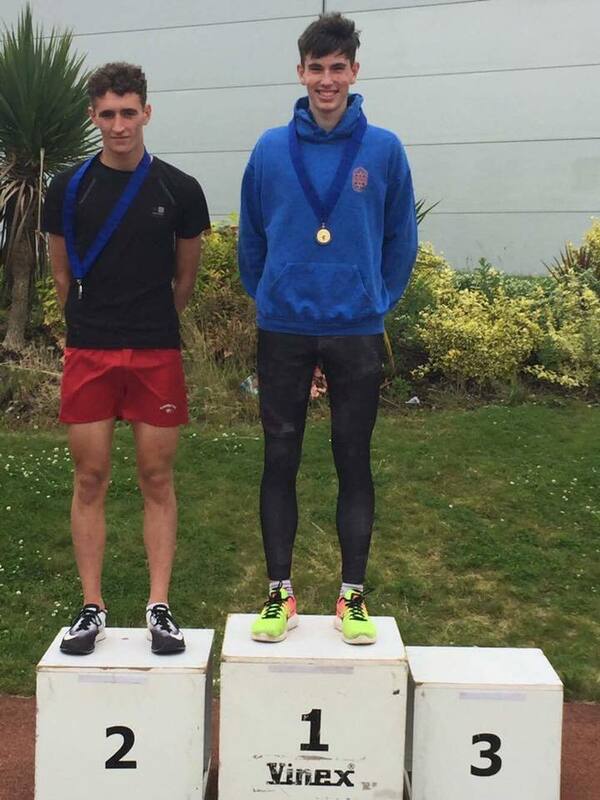 Jake Smith won a Bronze medal in the under 17 men’s High Jump with a clearance of 1.60m. 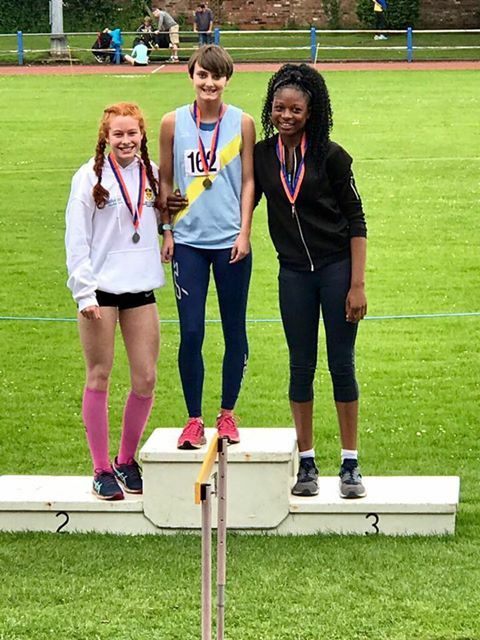 In the Derbyshire County Schools Championships we had an excellent Gold medal through Mussie Kassa in the under 17 men’s 3000m and a Bronze medal for Rose Barlow in the under 15 girls 1500m with a new PB of 5.22.45. Rose Barlow above collecting her Bronze medal. Over at Sportcity we had fantastic news with under 20 athlete George Lewis taking the Northern title in the 3000m steeplechase with a time of 10.18.87.